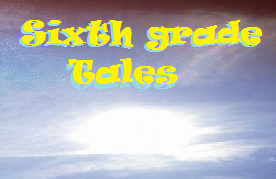 Sixth Grade Tales: Welcome to my new blog! Hello to everyone who used to follow my blog, The Future Special Educator! Now that I'm done with my Master's degree I decided it was appropriate to change the name of blog to reflect my new teaching role. I will be teaching 6th Grade Language Arts and Social Studies. I will have an advanced group of students and an inclusion class. This will be my first full year of teaching sixth grade, although I took over a maternity leave for 6th grade last year. For anyone who is following me that doesn't know me from my old blog, welcome and please feel free to comment on any posts. 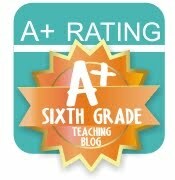 My purpose of blogging is to share ideas with other teachers and to reflect on my teaching practices. I love to hear feedback from other teachers! Usually my posts are short and to the point. Especially as a new teacher who doesn't have a ton of time to write detailed blog posts. Again, thank you all for checking out my blog and I look forward to hearing from some of you! 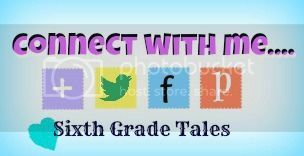 To find my old posts visit, The Future Special Educator.